Dottie Pedone, 59, passed away August 10, 2018 surrounded by her family. She was born September 2, 1958 in Akron to Judith and the late Dr. Charles East. 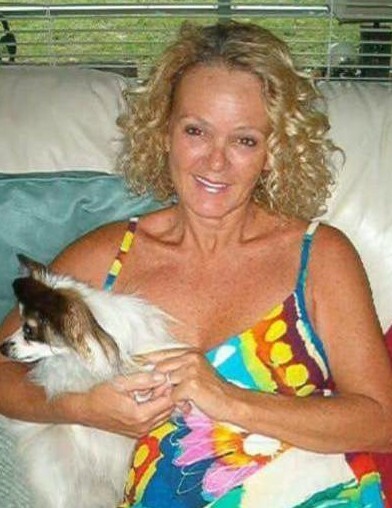 In her recent years, Dottie resided in Ft. Myers Beach, Florida where she had many friends. An avid animal lover her entire life, Dottie deeply adored her dog, Coco, cat, Daphne, and parrot, Rico. Her love of animals was especially evident when horseback riding with her sister. Dottie is going to be deeply missed by all who were fortunate enough to know her and love her. Her mother is especially going to miss their annual road trips/adventures from Florida to Ohio. In addition to her father, Dottie was preceded in death by her step-daughter, Nicole Pedone. She is survived by her husband, Salvatore; children, Jonathon (Valeen) Hykes and Melissa (Darren) Babin; grandchildren, Madisyn, Carter, Kiersten, and Avery; sister, Jennifer (Herman) Valentine; brothers, Jeff (Kelly), Bradley (LeeAnn) and Brian (Mellissa) East; brothers-in-law, Chuck (Betty) and Robert (Annette) Pedone; sister-in-law Charlene (Robert) Smith; as well as many nieces, nephews and friends. Per Dottie’s wishes, cremation has taken place and a private family Celebration of Life will be held at a later date. If you would like, please send memorial contributions in Dottie’s name to Pegasus Farm, 7490 Edison Street NE, Hartville, Ohio 44632. To leave a special message online for the family, visit our website at www.schermesserfh.com.